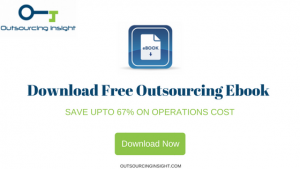 How To Select Best Outsourced Staffing Agency? Any organization is only as good as its staff. This relates everywhere in your organization, right from your top-most professionals to the people in the junior level positions. As your staff is important to achieve business success, you require best staffing services to ensure you get the best people on board. Whatever position you require to fill, there are different staffing agencies whose services can be outsourced. Some of the staffing agencies provide only high-level executives, some focus on professionals with a particular skill-set like programming or graphic designing. Some also specialize in specific industries. Temporary staffing agencies offer flexible staffing that will work as long as you require them. This staffing agencies provide temporary employees with the opportunity of becoming a permanent employee’s, if things work well. Whatever your staffing requirements may be, here are a few important questions to be asked to make sure you are choosing the right outsourcing staffing agency for your organization. ​Is the firm able to fill the position I am looking for? ​As seen in the recruitment market, many agencies specialize in particular industry or business domain. So it’s very important to know if the agency you are seeing can help fill-up the job position you are looking for your organization. If suppose you need a very specific employee position, it is wiser to hire a recruitment agency that focuses in hiring this category of employee. Agencies with specific focus in a domain or industry appeal to better or more highly qualified candidates than generic staffing agencies. ​From how long have they been into this business? Experience and knowledge always count and are very key criteria to be judged. 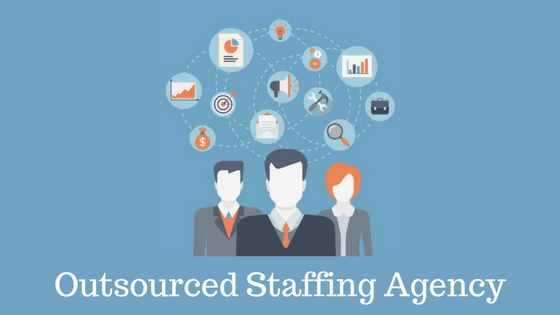 Ensure that the staffing agency you are outsourcing for your recruitment needs has a track record of both the criteria. How do they manage sourcing, screening and selection procedure? An outsourced staffing agency that manages HR services such as initial interviews, background checks, and skill valuations can help save your time, efforts and money. This helps the hiring managers to be much more confident that the particular candidates they are interviewing match the job necessities to a greater extent. They can then just focus on candidates' evaluation based on other traits, like style of work, the overall personality, problem-solving skill-sets and the last but not the least check his or her communication abilities. What different categories of staffing services do they offer? Some staffing agencies provide just provisional or agreement workers, while others take account of temp-to-hire and even permanent placement employees. Selecting an agency whose services will assist fulfilling your current requirements as well as the future needs can benefit you in long run. By being practical in your choice, you can escape having to modify your future needs and have an agency that can support you in long term by sustaining your business growth. How do they convey or define the ROI for your business needs? Your needs are directly connected to the quality of your recruited employees. So you need to question your staffing agency how they are going to function with you to make sure the best return for your employment investment. How does the agency manage unmatched or poor placements? Sometimes, regardless of the utmost thorough screening procedures and evaluation processes, poor hires occur. Select an agency that can help you out in this scenarios and give you refunds or provides other suitable remedies for such unmatched placements. How strong or large is the talent pool of the agency? Multiple criteria and factors are being considered when choosing a contract employee which includes the skill-sets, job level, specific or overall experience, personality, qualification, attitude towards work, working style and more. Choosing an agency that is in touch to a bigger network of candidates with different qualifications, backgrounds or experience can provide you a much better chance of discovering the correct employee for your company suiting to your budget. What benefits do they offer to their temporary employees? Benefits are one of the top concern for any temporary employee. If your staffing agency does not offer their resources with satisfactory benefits, you may not get to the top talent. Do they understand or have knowledge about your business? While interviewing prospective staffing agencies, examine them with open-ended questions about your business domain or industry or about the particular job position you are targeting to fill. Their answers to your questions can give you enough clues of their levels of knowledge in relevance to the situation. Agencies whose recruiters have a close or familiar understanding of these specific areas can often work better on your particular requirement and categorize the most suitable employees for both temporary and permanent placement of candidates in their network. Are they readily accessible for a face-to-face meeting? With advancement in technology virtual communications are effective yet there is no standby for understanding body language and judging the sincere substance transferred through a face-to-face meeting. What is the agency's fee structure or the rates? ​Do they charge differently for skills evaluation, background checks or all such services are included in the placement or hiring fee structure. Select or outsource a staffing agency which is very clear and transparent with its fee structure and schedule. 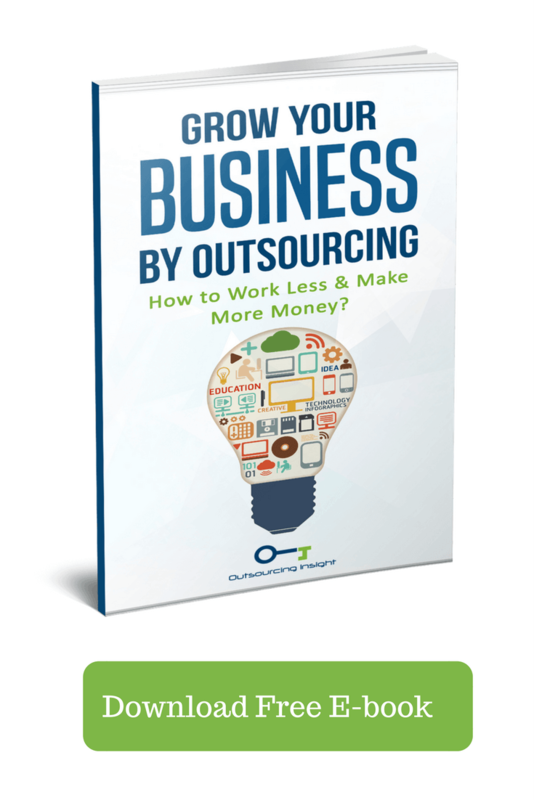 So that you already know precisely what you can anticipate to pay for the service(s) that fulfills your staffing and HR outsourcing requirements. As per a recent survey, more than 90 percent of Fortune 500 companies take assistance from HR outsourcing companies and staffing agencies to search skilled contractual and temporary workers, some with the skills and potential to fit into the required permanent positions. To remain competitive, you need a recruitment partner who knows your industry as well as your business and can back your needs as you grow with time. Consider above questions while selecting an outsourced staffing agency to avoid going forward with an incorrect recruitment partner. Finding out how the staffing agency you’re going to choose handles their candidate screenings is one of the first things you should really do as a business. You likely have standards of employment for your business and you want to make sure that anyone brought in by the staffing agency meets those standards. In order to make sure that this happens you need to make sure that the staffing agency’s screening procedures match up fairly well with your own. I totally agree that it’s important to choose a staffing agency that’s committed to helping you in fulfilling your current requirements as well as the future needs to get the best benefits in the long run for the growth of your business. My father is looking to operate a hospital by the first quarter of 2018, and it’s important for her to fill the vacancies in his business to make sure that it can start operating as soon as possible. It’s necessary for him to choose a staffing agency that can give their commitment in filling the vacancies based on the requirements that my father will give them in order to make sure that only competent employees are going to be hired. I will make sure to share your blog with my dad so he can get tips for finding the best agency. The best part of your article for me is when you talked about the importance of making sure that the staffing agency that you will hire has the ability to fill up the job positions that you are looking for your business. My mother is looking to own a business next year, and it’s important for her to make sure that she will be able to hire the right people with the right skills on her business. Since she’s thinking of hiring an employment agency, it will make sense for her to choose an agency that can help her to employ people with the right skills for the job positions that she will need. I will make sure to share your blog with my mom so she can consider your tips. The best part of your article for me is when you talked about how you must consider choosing an agency that has an understanding of the industry that your business is in to make sure that it can provide you employees that can satisfy the requirements of the vacant job positions. My brother is looking to own a restaurant next year, and it’s important for him to hire a staffing agency that can help him fill the vacant positions with the most qualified employees. It will make sense for him to hire a staffing agency that knows the needs of a food industry so it can help him to find the best employees. I will make sure to share your blog with him so she can get some tips. The best part of your article for me is when you talked about the importance of finding a staffing agency that has both experience and knowledge to help you with your recruitment needs. My mother has a plan to own a food shop by the middle of the year. It’s important for her to find the right people to work for her business, so she’s looking to hire a staffing agency. This is such an important investment for her, so it’s crucial for her to only deal with a staffing agency that has a track record of providing the best services because of their knowledge and experience in the recruitment industry. I will make sure to share your blog with my mother. I like that you talked about how you must consider hiring a staffing agency that has the track record of both experience and knowledge to ensure that your recruitment needs are going to be met. My sister is looking to own a business in the future. It’s important for her to make sure that the vacancies on her company are going to be filled by skilled and right people through the help of a staffing agency. It will make sense for my sister to make sure that she will only hire a staffing agency that has been in the business for a long time to make sure that her needs are going to be provided. I will make sure to share your blog with my sister. I found it interesting when you said that it’s important to choose an agency that can fill-up the job position that you are looking for your business since there are agencies that specialize in a particular industry. My mother is dreaming of owning a jewelry shop. Given the nature of her chosen industry, it will be a must for her to have a security team that can ensure the security and protection of the valuable items in her business. It will be great if she can find an agency that specializes in employing security personnel. Thanks for your tips! What appealed to me the most in your blog is when you suggested interviewing the staffing agency that you’re looking to hire to see if they have an understanding about your business so they can help you in finding the most suitable employees for your business. This is something that I will surely remember because I’m dreaming of owning a business in the future that will require hiring employees that have strong backgrounds in the fashion industry. It will surely be easy for me to find the best employees if I can find a recruiting agency that knows and understands what my business is all about. Thanks!